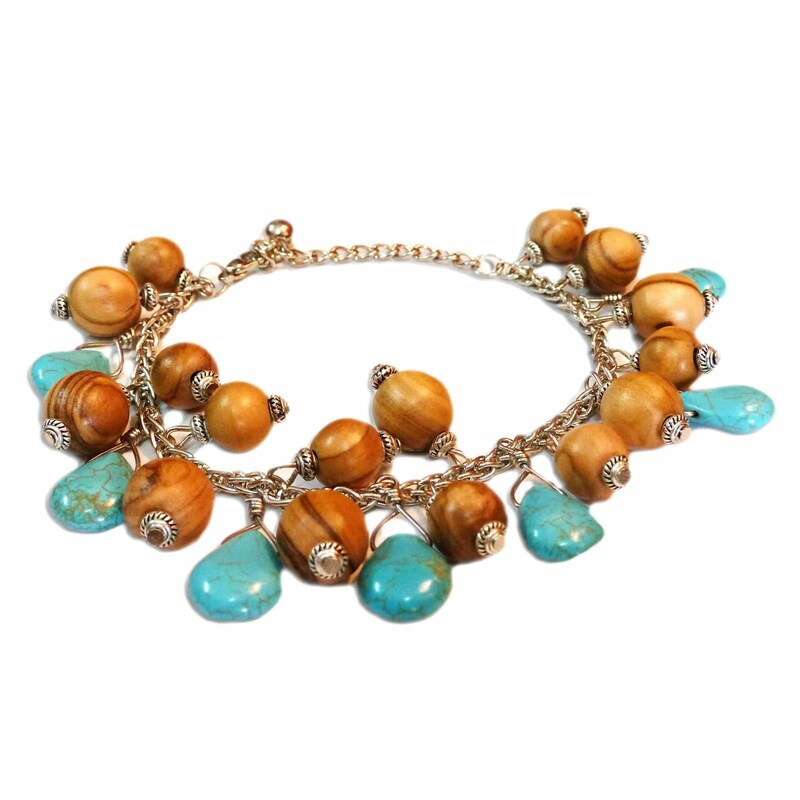 Did you know that all the olive wood beads we use in our jewelry are handmade right here in Jordan? Not only does it come from tree branches that would otherwise be thrown away, but they are handmade and sanded by those who are physically handicapped, thereby providing jobs and skills to the less fortunate. First, they drill holes in the block. These initial holes provide a guide for the next drill bit which has been especially created for these bead sizes. Next, they drill beads on one side of the block of wood, and then on the other side. This results in spheres with a little bit of a ridge around its equator. The spheres are dried for 7-10 days and then sanded on wires to remove the ridges. The beads are further tumbled with sandpaper for 3 days to even out the entire bead and ensure optimal smoothness. As a final step, they are then strung on wires and lacquered with a protective coating, for everyday use as practical and beautiful olive wood jewelry. So when you're accessorizing yourself to get ready for your busy day, remember that you're wearing a little piece of Jordan! Come find us at KIDS TOON! Did you know Olive Wood can be Green?